2. 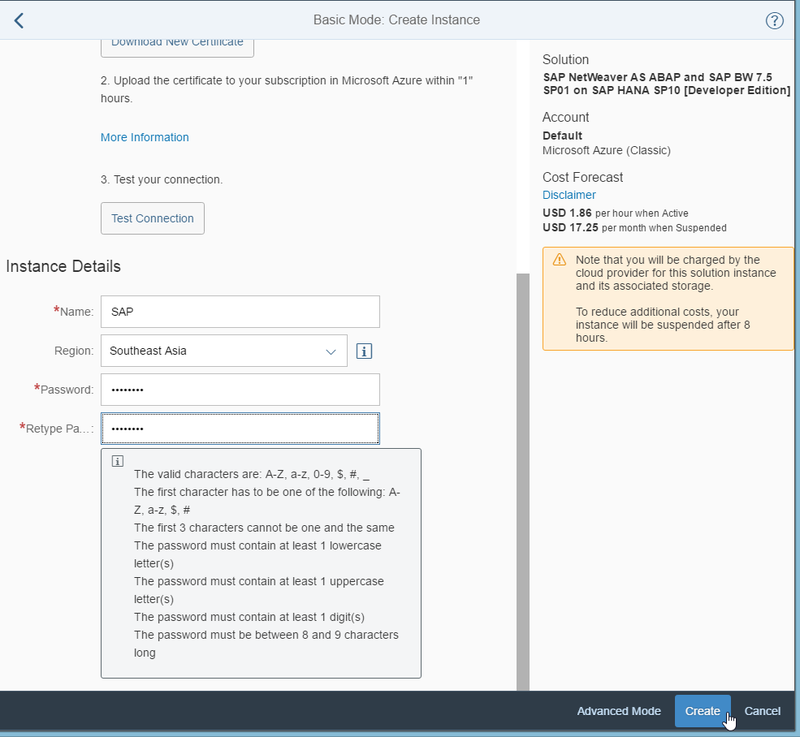 Accept Terms and Conditions then Name you account, select cloud service (Azure in this case), and input your Azure subscription ID*. 3. Click Download New Certificate and save the certificate file to your computer. 4. Go to https://manage.windowsazure.com and then go to SETTINGS --> MANAGEMENT CERTIFICATES. 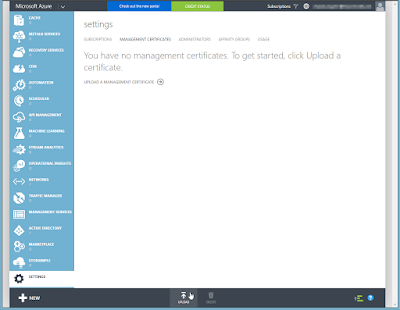 Wait until the certificate is uploaded successfully. 6. 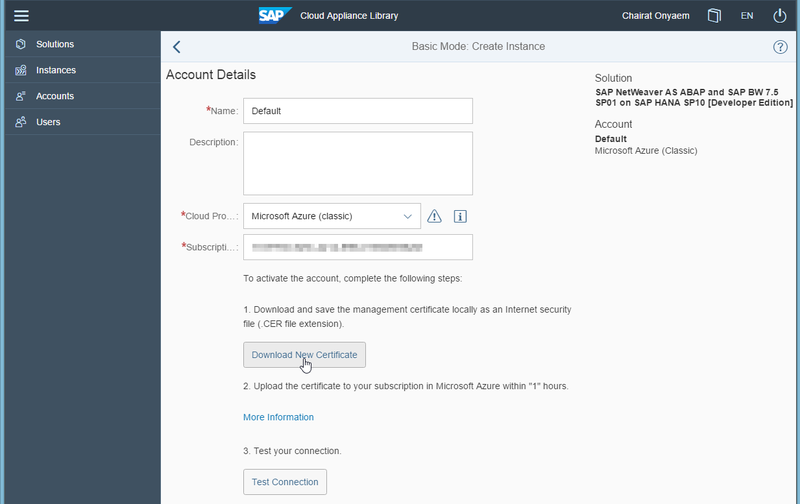 Go back to SAP CAL and click Test Connection. 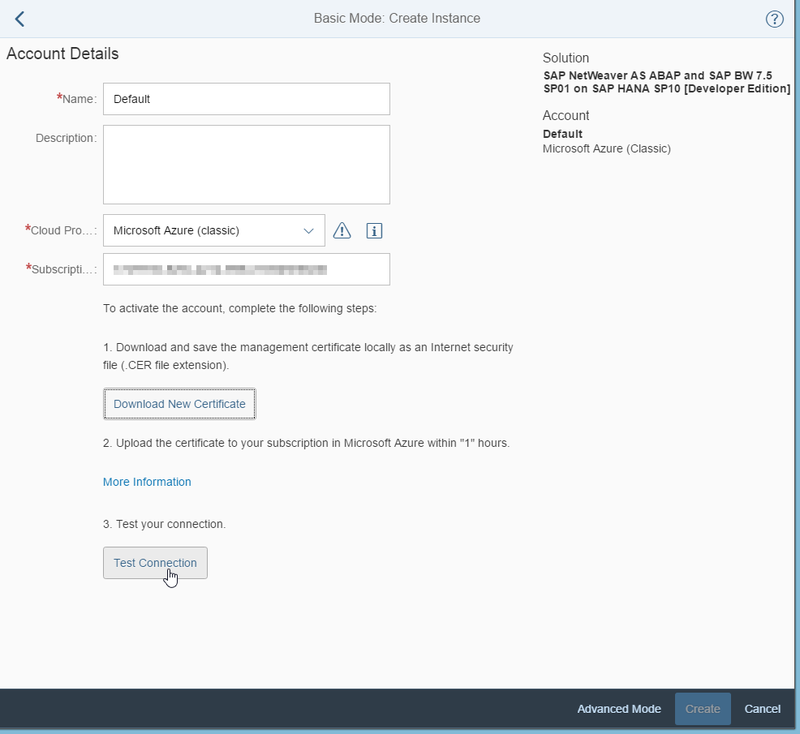 If it can connect to your Azure account, it will display this form for you to fill your instance name, server region, and master password then click Create. Do not forget to store or download the private key file. 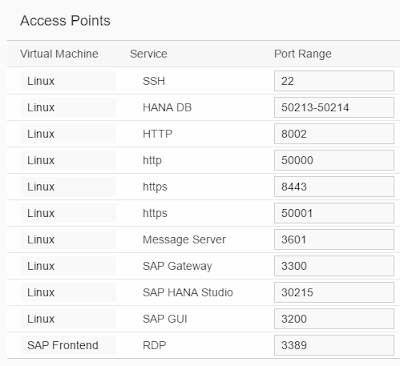 You will need this if you want to access SAP server via SSH. 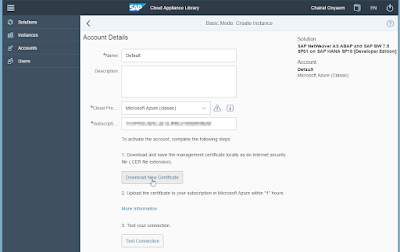 SAP CAL will setup SAP platform on your Azure account. Please note the estimated usage cost on Azure. The setup is usually take around 60-100 minutes. 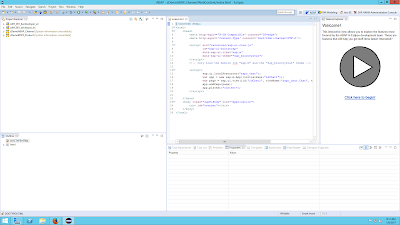 When it's done, the status is Active. 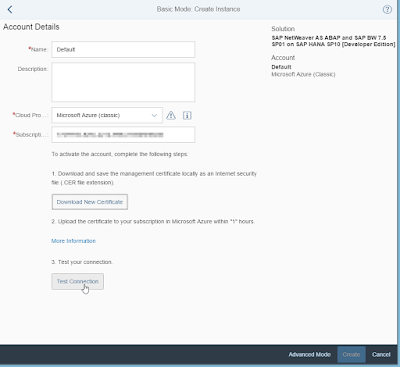 The following resources will be created on your Azure account. 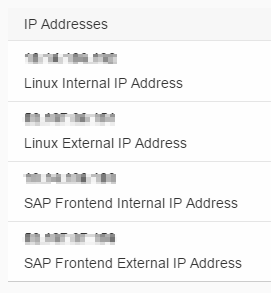 And you will get IP addresses of your SAP Backend and Frontend VMs. Here is how they look like in Azure Portal. 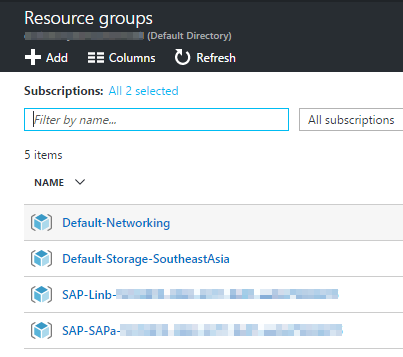 There are 4 resource groups created. 1. 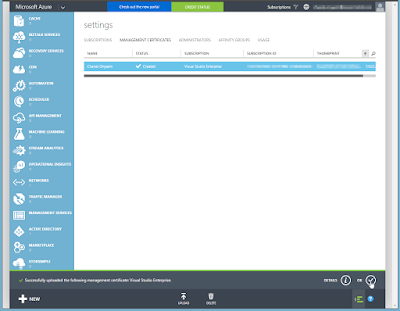 Once the instance is activated (Status Active), click connect. 3. 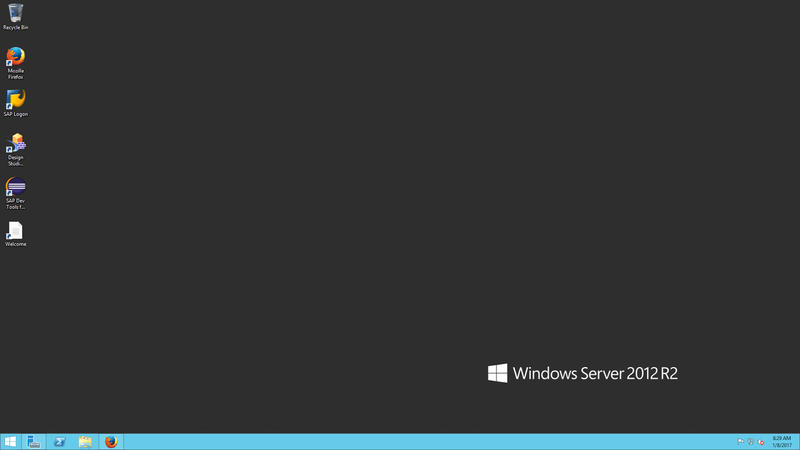 With user name Administrator and your master password and you will log into Frontend VM which is Windows Server 2012 R2. 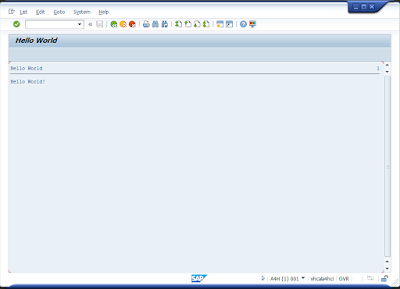 All software (SAP GUI, Eclipse, HANA Studio, etc.) are pre-installed and ready to use. It should open a welcome page for you in FireFox. 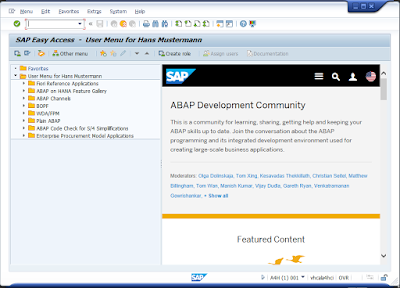 You can see the example of welcome page here. 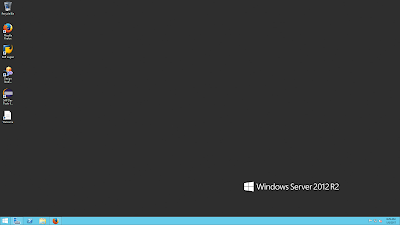 In the Windows Start Menu, choose "Server Manager". 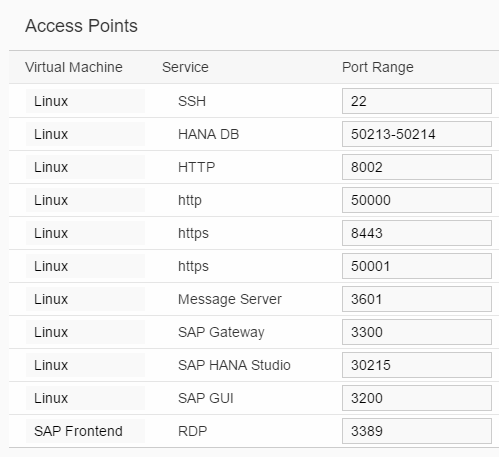 In the left hand sided Navigation Pane, click on the uppermost entry "Local Server". 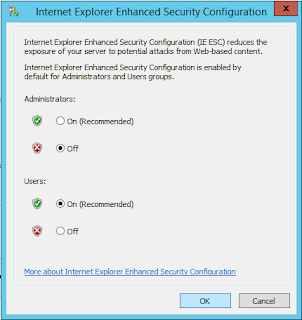 In the right hand sided pane, look for IE Enhanced Security Configuration and its current value should be On. Click on the link . 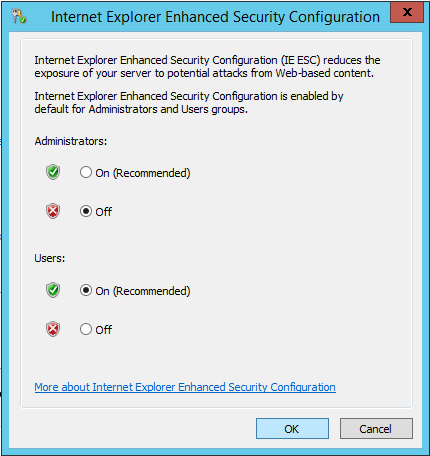 Turn off IE Enhanced Security Configuration for Administrators. 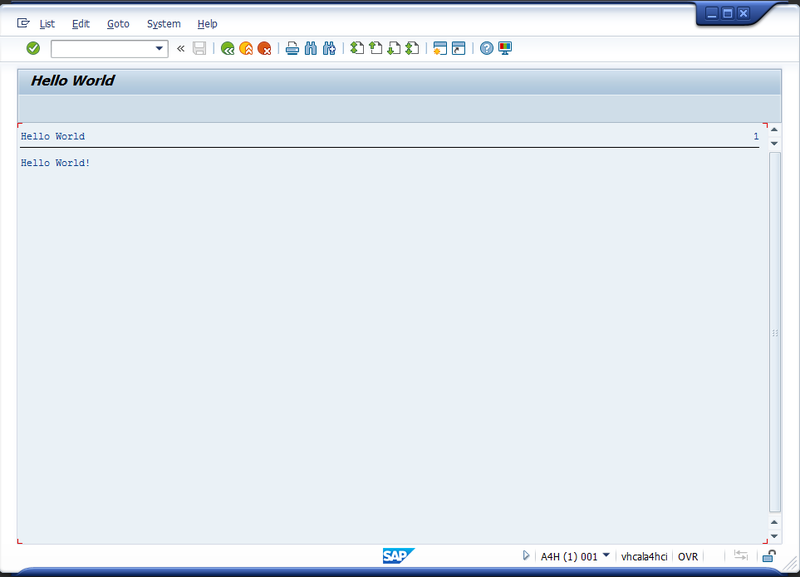 Click OK.
You can now log on to the SAP system and will not be bothered by Internet Explorer security messages. 1. 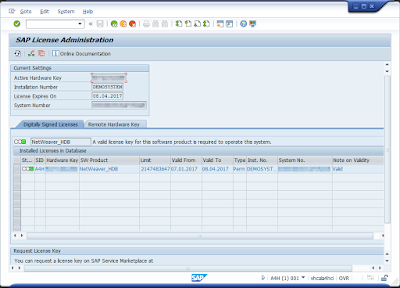 Try to open SAP Logon, you will see the SID A4H is already there. 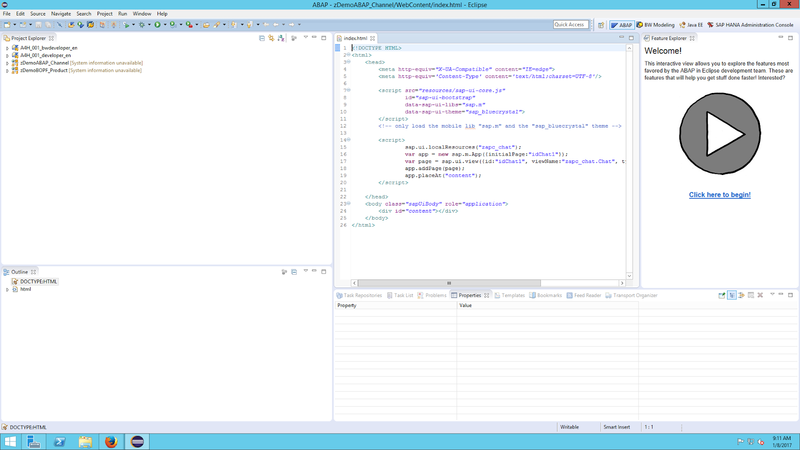 Here is its connection properties. 2. 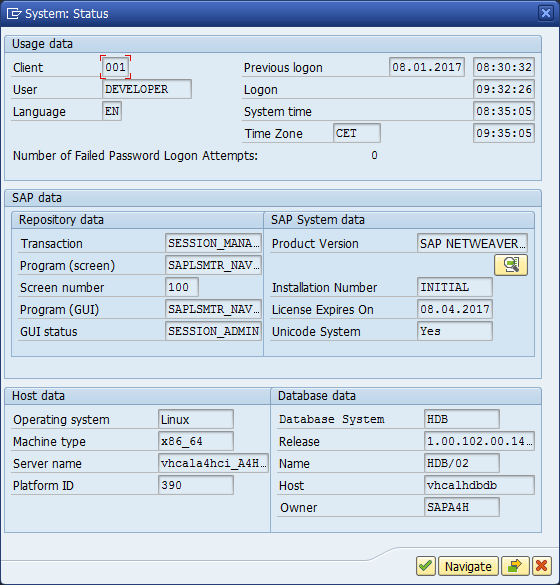 Try to connect and log on using user name DEVELOPER or BWDEVELOPER with your master password. 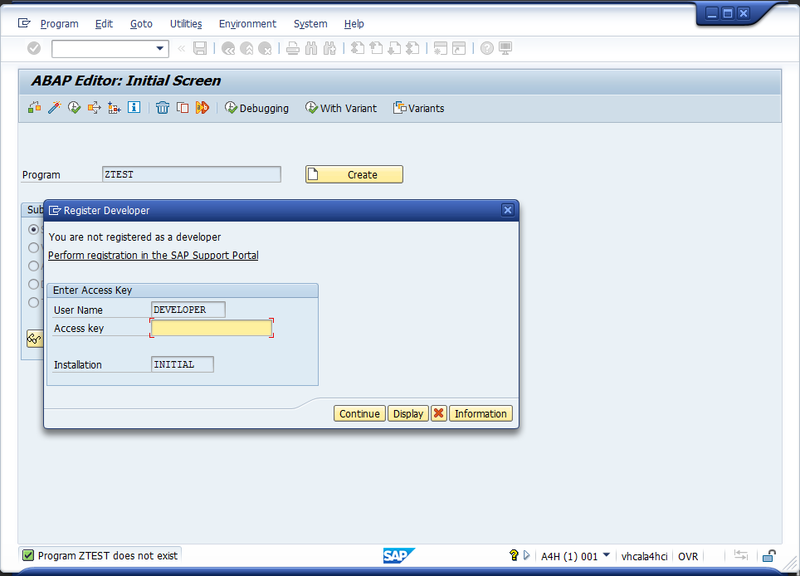 Now, you are in SAP GUI. This is the system information of your SAP platform. Here is the installed components on the AS. 3. 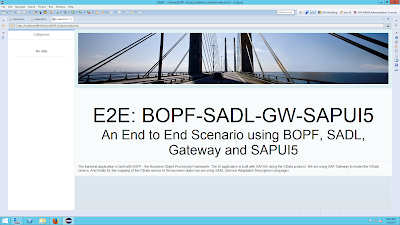 Try going to SE38 and create a new ABAP program. 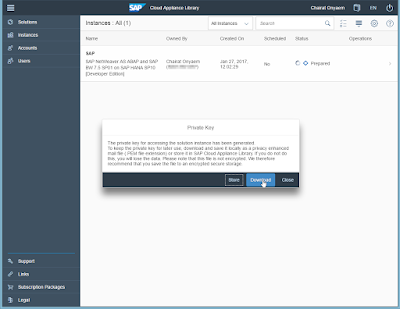 It will ask for access key. 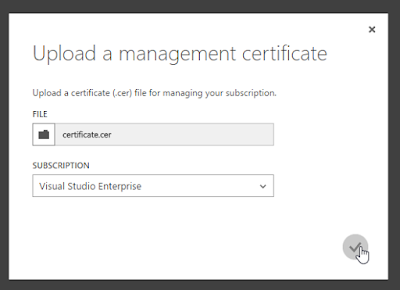 You need to setup a license first. 4. 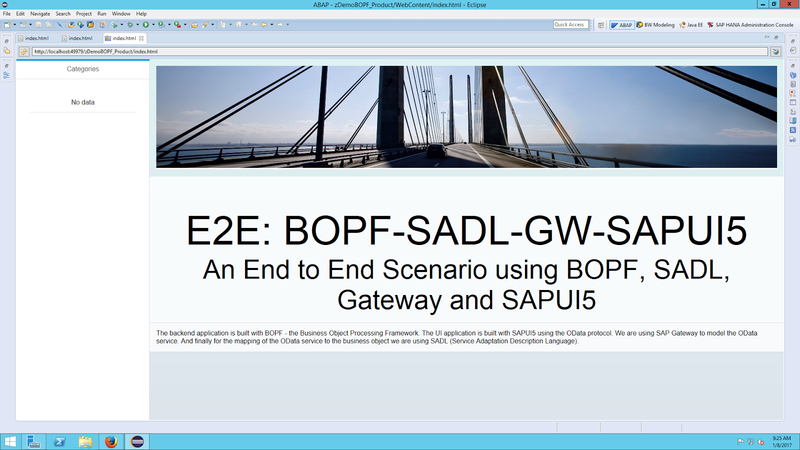 Click the link "www.sap.com/minisap" on the welcome page. It will bring you to the registration page. 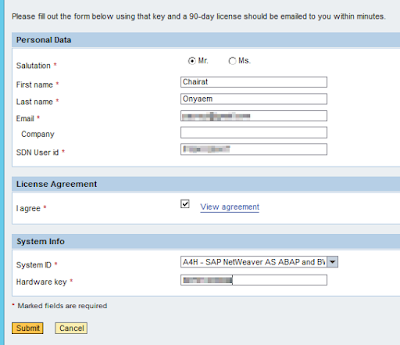 Fill in the form with your information. 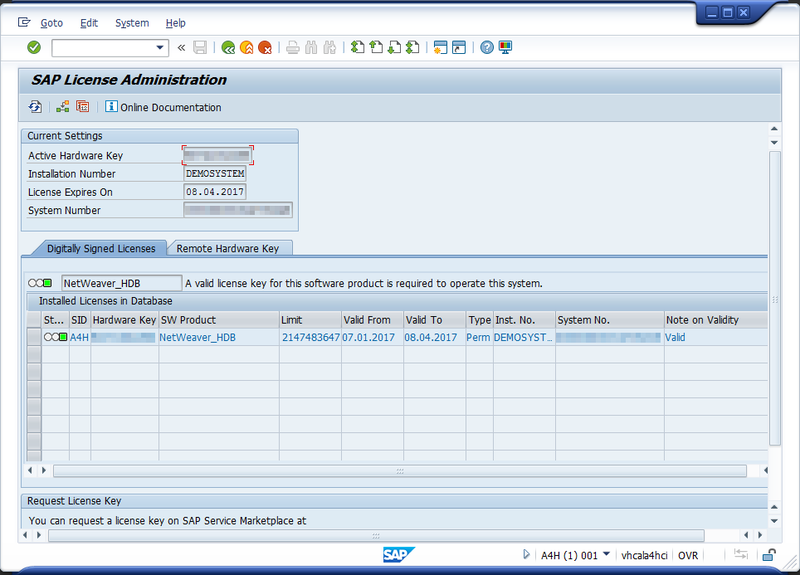 You can get the system Hardware key from transaction SLICENSE. Then click submit. The license key file will be sent to your via email. Please note the license is valid for 90 days only. 5. 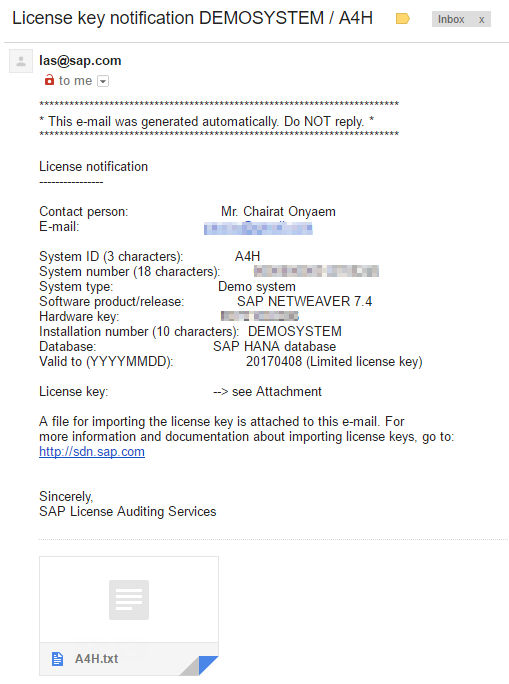 Download the license file from your email. 6. 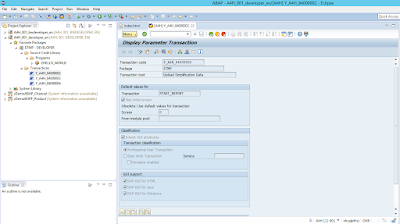 Go to transaction SLICENSE and install your license key. 7. 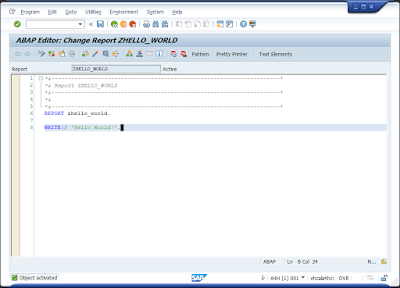 Now you can create and execute ABAP program. Hooray! 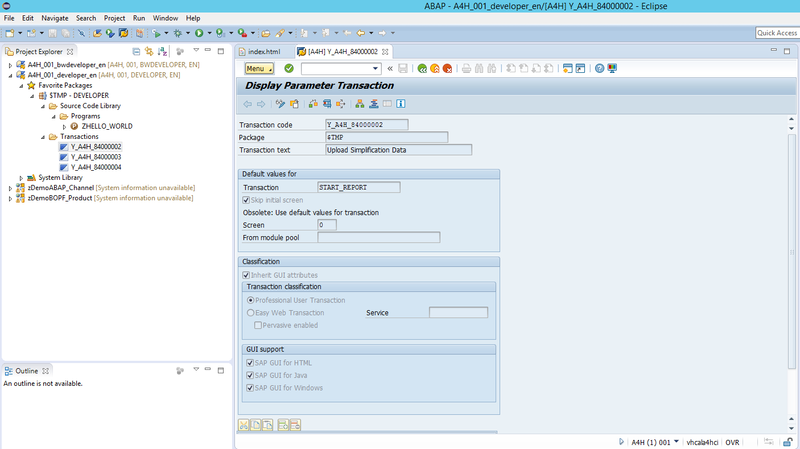 Apart from SAP GUI, the Frontend VM also comes with pre-installed Eclipse and SAP development tools such ADT, BW, HANA, SAPUI5. 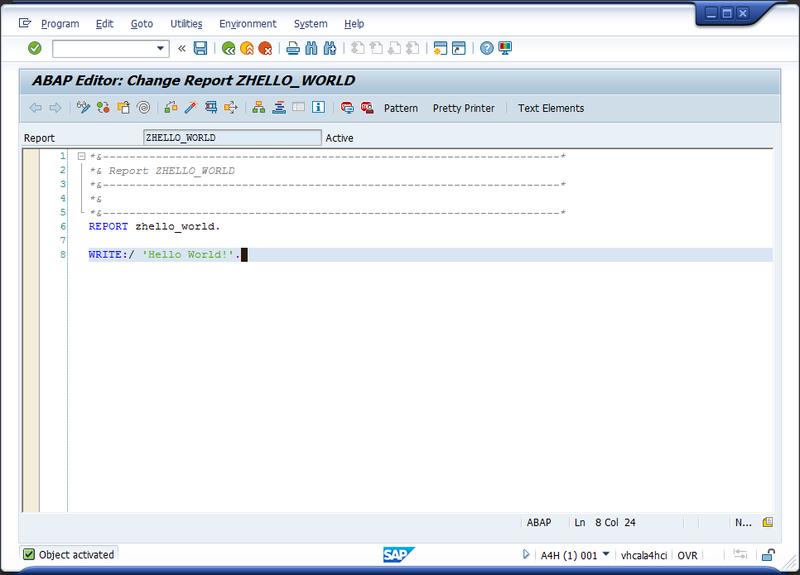 There are sample BW and ABAP projects for you to try. 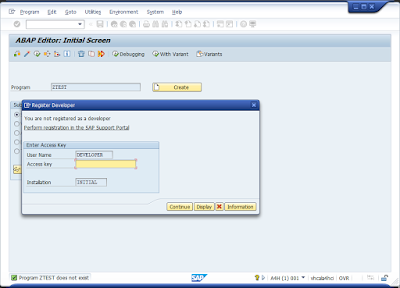 You can try running the SAPUI app in Eclipse. 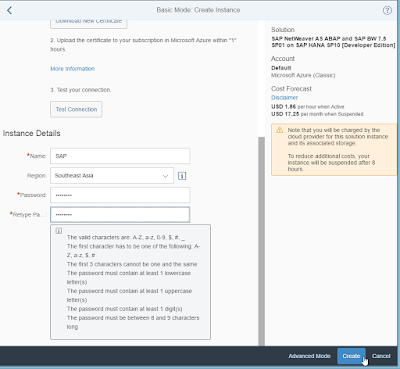 After you're done with your trial, don't forget to suspend your SAP instance in SAP CAL so it doesn't eat your Azure credit too much (but still). Remember these costs incurred. 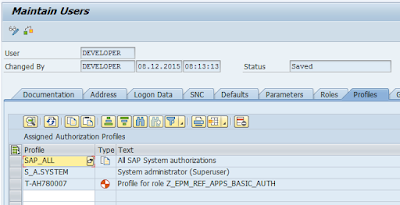 For more information about the SAP instance, you may see their full documentation in this page. Enjoy! 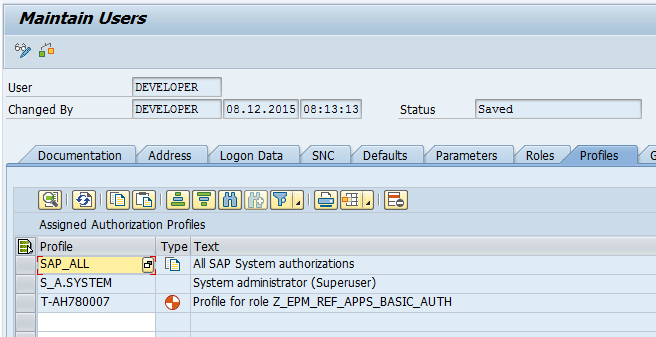 Added Profile Assignments screenshots for both SAP IDs in step 7. 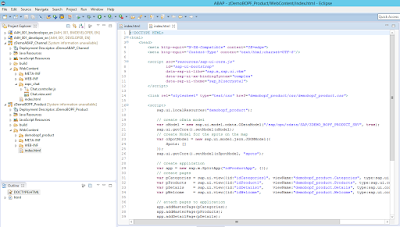 MaxMunus Offer World Class Virtual Instructor-led training on #VEEVA #CRM. We have industry expert trainer. 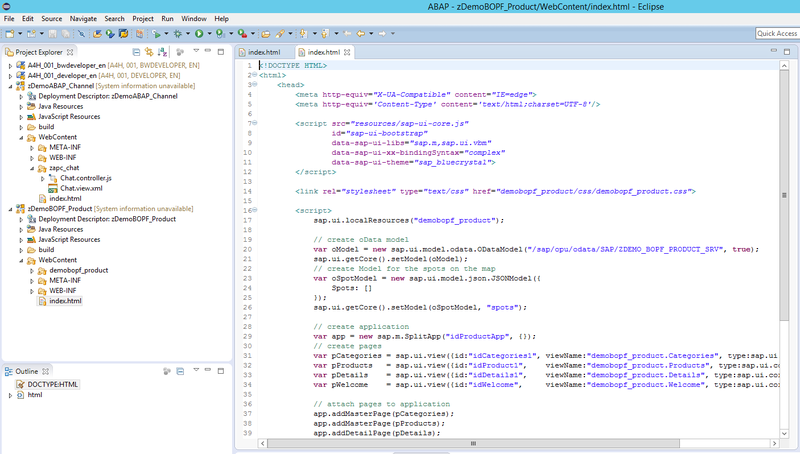 We provide Training Material and Software Support. MaxMunus has successfully conducted 1,00,000 + training in India, USA, UK, Australia, Switzerland, Qatar, Saudi Arabia, Bangladesh, Bahrain, and UAE etc. Nice Information. I like your way of explaining this post. your blog style is also very impressive and beautiful. I am very impressed. Great work! 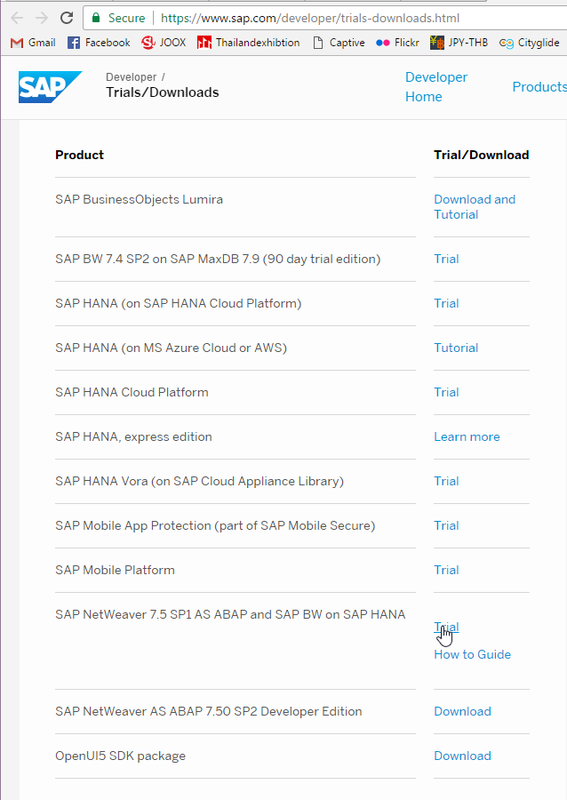 Here we have the information regarding SAP HANA Studio Installation and how to Download. I think this information is very helpful to Readers. Join thousands of successful professionals at VceTests and download 100% real SAP exam dumps. Our most updated and accurate C_TSCM42_67 exam dumps are key to your success in this exam. We deliver top quality C_TSCM42_67 vce questions verified by professional experts to guarantee your success even though in a very short time. Nice Post! 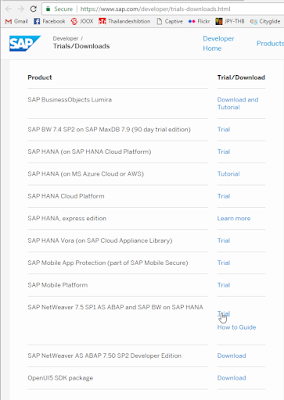 I appreciate to SAP HANA Exam Dumps for this post. Really you are the best.